Bill, I imagine that the silicone should be OK. However, I know that auto manufacturers have moved to urethane adhesive on the windshields, because the designers now utilize the windshield as part of the structural rigidity of the frame. I would be a little concerned that Van's did something similar. If they did, I am sure that a structural adhesive would be required over a sealant. There was static load testing done of the cabin top to evaluate rollover protection design. The test article had the windscreen and side windows bonded in using the method prescribed in the build manual. It is experimental after all, but any change from that recommendation has the potential to have an impact on overall rollover protection. What influence any given change would have is anybody's guess because testing wasn't done to evaluate alternatives. This is also why you wont likely see Van's officially endorse other window installation methods, and it is also why Van's has officially recommended against drilling holes in the door frames for sun shades, etc. I did add composite cable chases to the A-pillars that should enhance the rollover strength of the cabin top - visor holes or no visor holes. And the knowledgable guy that did the GlasStar SilPruf installation videos says his sample coupons ripped the gel coat from the composite without sealant failure after full cure. I'm not worried much about bond strength as it relates to plexiglass's structural contribution to cabin top load-bearing. And I'm also not worried about my fiberglass work ever cracking underneath the paint. Whoopie for me, right? Sincere question: how many RV-10 rollover accidents do we know about? It's time to do the fairing layup. Curious whether the method in the manual is still preferred or if the factory's method shown in the RV-14 video should supplant. 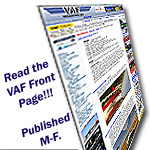 I recognize the need to have tinted resin against the windshield either way, but there is a reversal of order of laying out the ply widths between the two methods, as well as some templates addressing the shape transitions onto the lower corners/sides in the -14 video that are not featured in the -10 plans. I strongly recommend that if you want to use carbon, you put down at least one ply of fiberglass to separate the carbon from the aluminum. Epoxy can absorb and retain a tiny bit of water, and the combination of carbon and aluminum with water as an electrolyte makes a dandy battery to drive galvanic corrosion of the aluminum. Not planning to use carbon, though it would be a good chance to gain educational familiarity with the material. More wondering if I'd get better results cutting the wider pieces in curves a la RV-14, or if they bend around the corners well enough not to pucker, considering they are not supposed to be bias-cut. 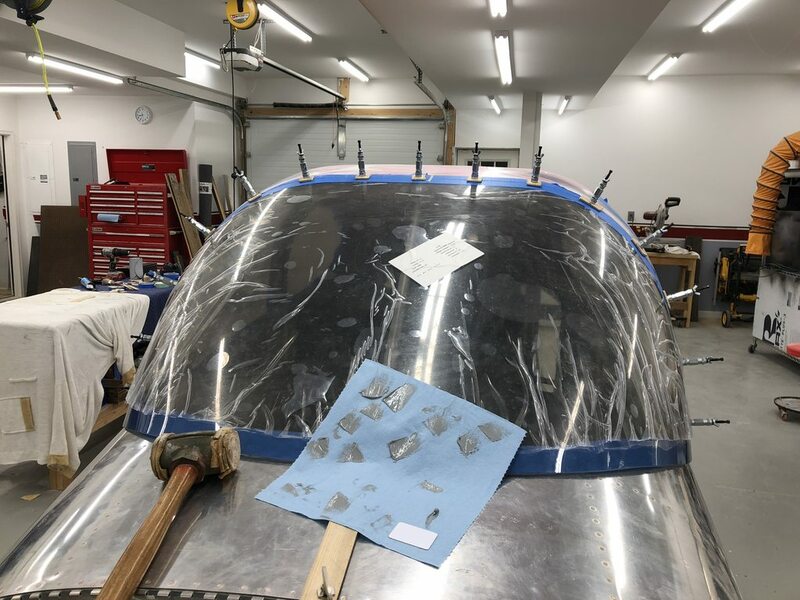 Also thinking the -14 sequence of putting down the widest strip first would make it easiest to get uniform tinting of the resin that will show through the back side of the windshield, since pot life won't allow doing all the strips from the same batch of tinted resin (I think). I did my layup per vans plans with the narrow strip first. It does not take much tint so I don't think you will have much color differences, I only used 2 batches. I had plenty of time with the pot life. 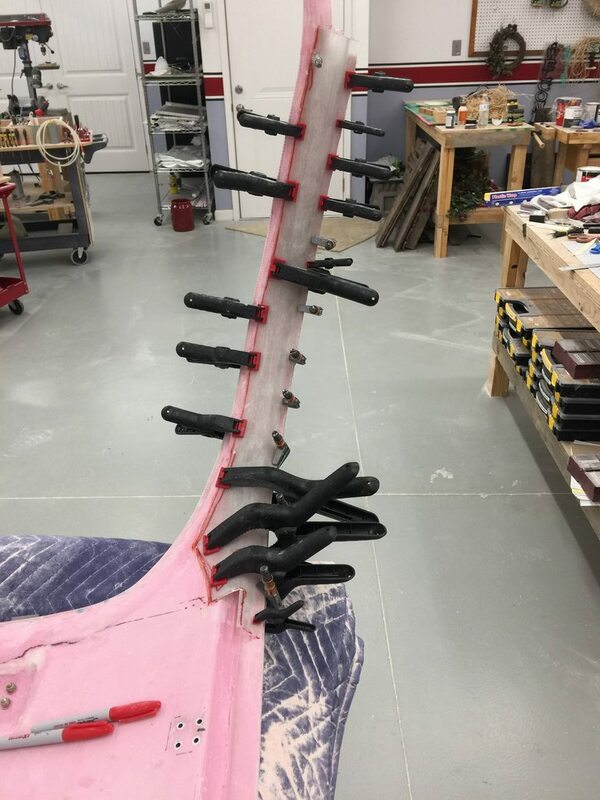 Be sure to have everthing at hand and even do a practice layup( without epoxy) so you know what will be entailed. I'm a novice fiberglass guy and I didn't have any issues. Just have to dig in and get at it. Oh, and I didn't have any problems at the curves as the strips will conform while they are wet out. Not planning to use carbon, though it would be a good chance to gain educational familiarity with the material. Doesn't make much sense to glue a material with almost no CTE to materials with CTEs 13x and 41x higher. The joint gets stressed just moving from sun to shade. Good to know that the 10 plans method works well enough. I was just lured in by the extra pains taken by the -14 manual to get it "just right." I suppose since it's composite, one can just throw it on and grind it down at the ends/corners where it would otherwise make sense to taper and shape the layups before wet-out. After closing up the ends of all my RV-10 control surfaces, and doing the front fairing and targa strip on my -6A tip-up 20 years ago, I'm probably up to speed on making this work cosmetically. Just trying to make it easy for myself. Okay, fellas. 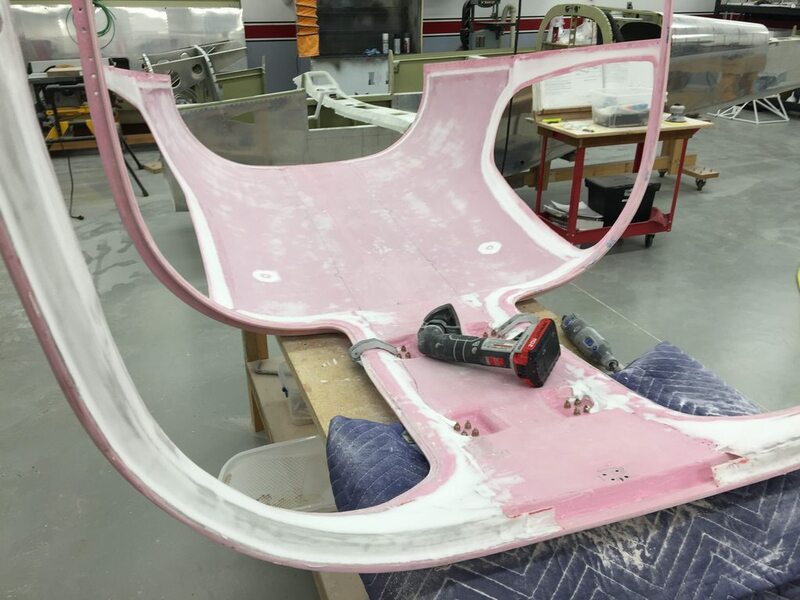 How did you go about making a sanding block to radius-sand the windshield fairing layup to a radius of 7"? A drywall mud bucket has a 6" radius, and might work with a scooping diagonal sanding motion. I'm not sure the preferred technique is to use a sanding block with the full desired final radius, but rather something a bit smaller? If necessary, I can bandsaw a stack of wooden triangles with that radius and glue them into a block, but I was wondering if I was overlooking a household item that might already suffice to back the sandpaper. Take a chunk of stiff urethane foam and sand it to the shape you need. Flower arrangers green foam should be easy to get (wally mart) and is stiff enough for the job.